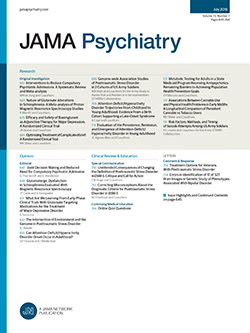 IN A PREVIOUS paper we analyzed information usage by psychiatrists in decision making.1 The present paper extends the basic topic of how psychiatrists reach conclusions to considerations of "master plans" that individual doctors used in diagnosing a case, types of thought processes involved in decision making, and the degree of structuring brought by the physicians to the task. The investigators expected that some decision makers would reach the same conclusion by different methods and that others would reach different conclusions by the same method. However, the focus of the paper will be on the tactical approaches that doctors used in evaluating a case and making a diagnosis, rather than on disagreements among them in the final result of the decision-making process.